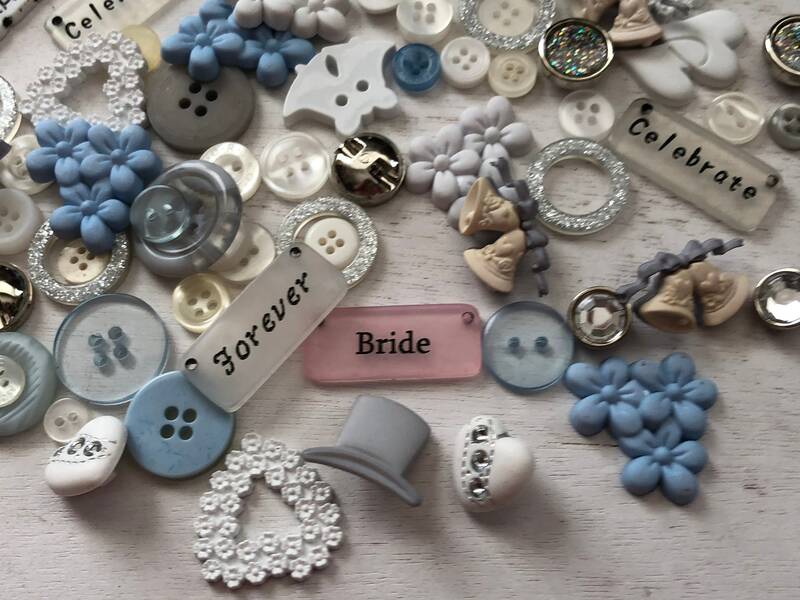 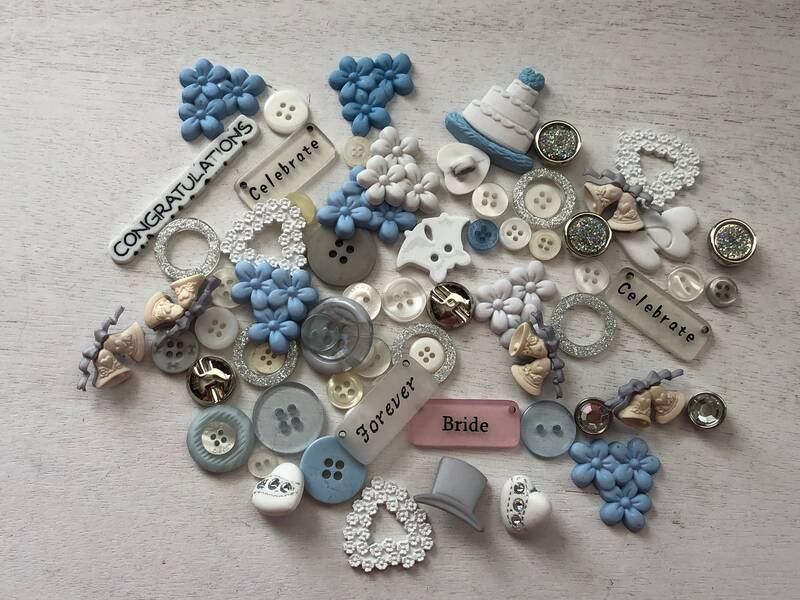 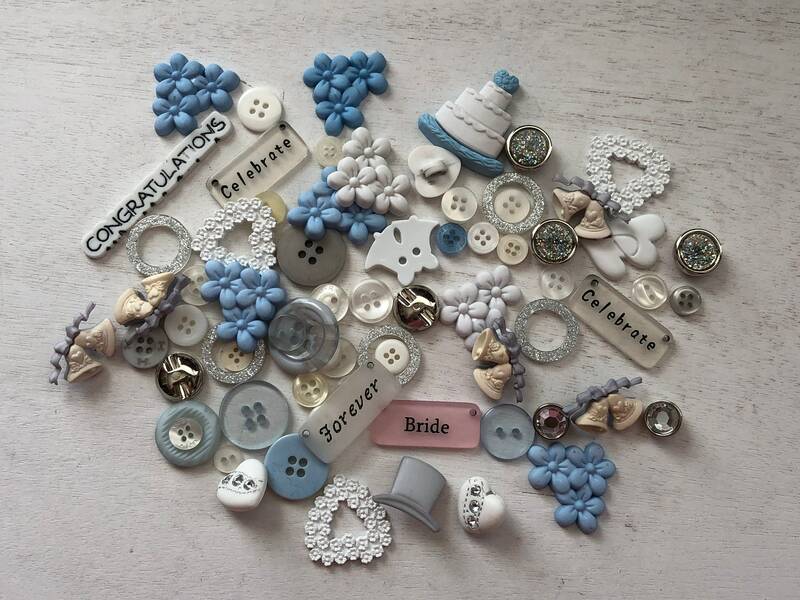 Wedding Buttons in lots of shapes and sizes. 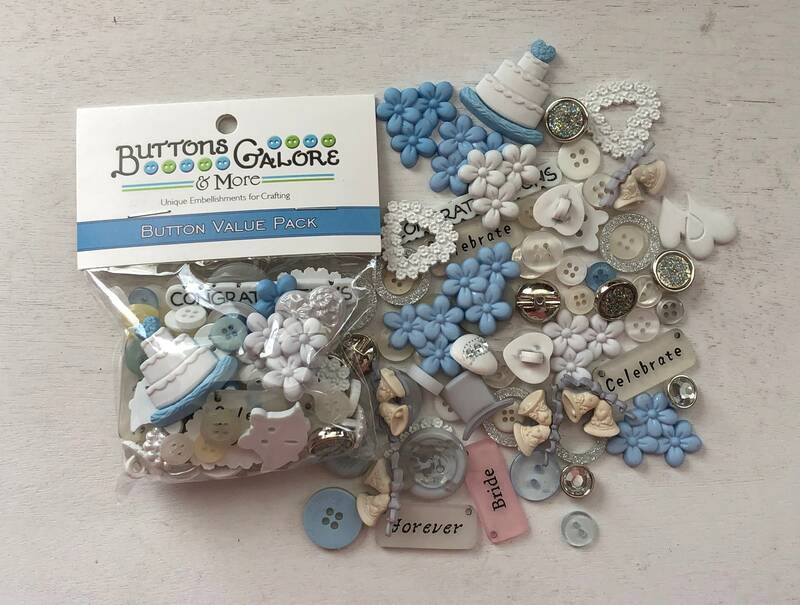 Value Package Assortment by Buttons Galore. 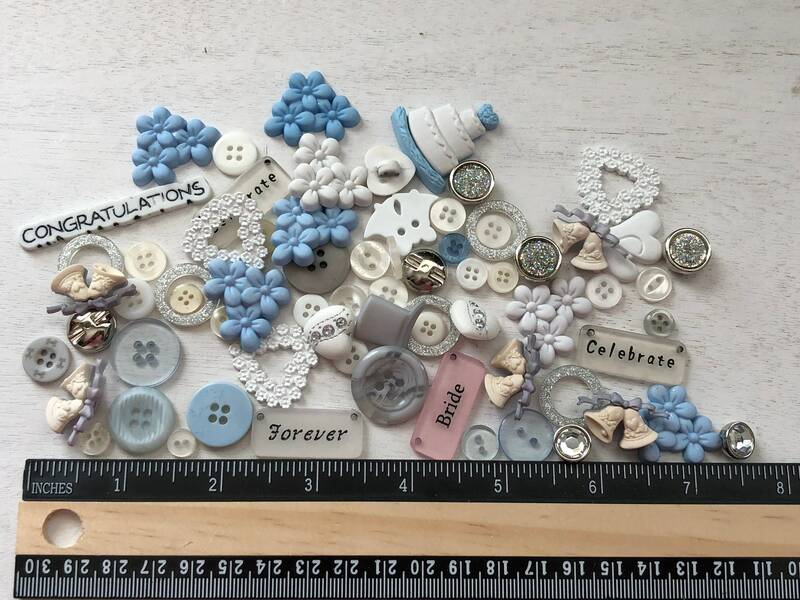 Includes shank back, sew on and flat embellishment buttons.